We are leading manufacturer an whole supplier of cladding stone from Rajasthan, India. 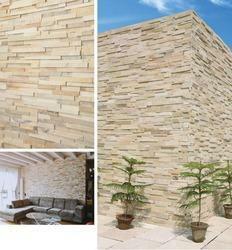 We offering various types of natural cladding stones for our valuable customers at wholesale prices. Our Clading stone range includes of Extrior cladding stone, Elevation Cladding Stone, Interior Cladding Stone, Outdoor Cladding Stone, Indoor Cladding Stone, Marble Cladding Stone, Sandstone Cladding Stone, Slate Cladding Stone etc. These Cladding Stones are available with various finishes like Natural Cladding Stone, Rock face Cladding Stone, Split face Cladding Stone, 3D Cladding Stone, Polished Cladding Stone etc. We are leading manufacturer and supplier of interior wall cladding stones. natural. These Interior Wall Cladding Stone tiles are made of teakwood sandstone. We crafted these interior wall cladding tiles with high end machinery and skilled labour. These wall cladding tiles are highly demamded for use for interior wall. 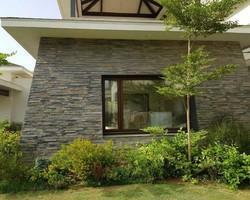 We are leading manufacturer and supplier of stone wall cladding tiles made of natural stone. These external wall cladding tiles are highly demanded by architects and interior designers for wall cladding of External wall. We are leading manufacturer and supplier of rockface cladding stone from Rajasthan, India. These Rockface Cladding Stone are crafted with using high end machineries with highly skilled labour for perfection in its size and finishes. 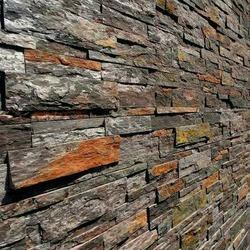 These rockface cladding stones are highly demanded by architects and builders for their interior as well as exterior wall cladding. We are leading manufacturer and supplier of wall cladding stone. Wall Cladding Stone tiles made of lava Black slate stone, gives very similar look to faux stone wall cladding so this wall cladding stone is highly demanded by Architects and Builders for their interior and exterior wall cladding areas. Wall Cladding stone is used for internal and external wall cladding of any Bungalow, Resorts and individual property to give the rich look. We are leading manufacturer and supplier of natural cladding stone from Rajasthan, India. 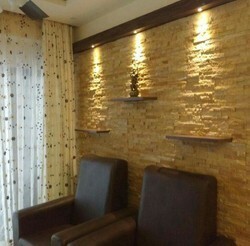 Natural Cladding stone could be use for interior as well as exterior wall cladding for any wall you want to install. These natural cladding stones are basically used for external wall but it could be also use for internal wall cladding also. We are leading manufacturer and supplier of natural cladding stone from Rajasthan, India. Exterior wall cladding stone made of Copper Slate Tiles. 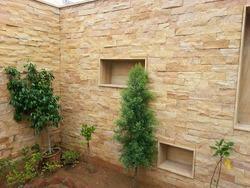 Exterior wall cladding stone could be use for external as well as internal wall cladding. We are leading manufacturer and supplier of natural cladding stone from Rajasthan, India. These Elevation Wall Cladding Stone tiles Grey Slatestone . The thickness of these elevation wall cladding stones are zigzag so it gives 3D effect on walls. 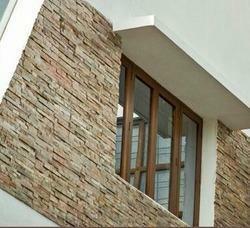 These Elevation Wall Cladding Stone are weather proof and dust free product. Could be use for internal wall also.